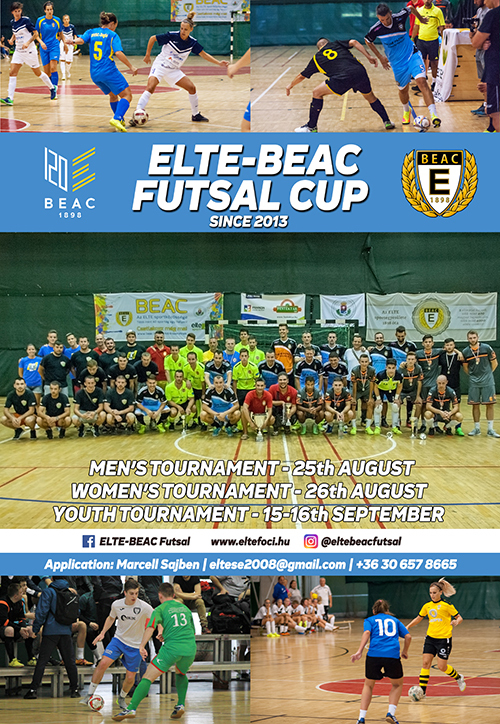 Our 120 year-old sports club, Budapest University Athletics Club (BEAC) was one of the founding members of the Hungarian Football Federation, thus one our primary aims is to popularise futsal. We have organised international tournaments since 2013 with more and more participant teams. Last year more than 30 adult and junior futsal teams from 4 countries arrived to the challenge. We hope that this year even more teams choose to prepare for the season at our event that has grown into a great futsal festival. The first 12 applicant teams per each age groups and sexes can be registered to the cups. The duration of matches and the schedule of the tournament depends on the number of teams registered. We plan as much playing time as possible for everyone. We can help teams with finding an accommodation if they stay in Budapest for more than a day.